Akshay Kumar’s Khiladi 786 has fell short of expectations at the box office. The film had an average opening of around 10 crore and even though it picked up during the weekend, the collections were still below expectations. Akshay’s last masala film Rowdy Rathore had opened to a fantastic response at the box office and the same was expected from Khiladi 786 as well however the collections tell a entirely different story. Khiladi 786 has under performed in North India where the collections are similar to small films like Jism 2 and Kyaa Super Kool Hain Hum. The movie has collected around 35 crore in 4 days. 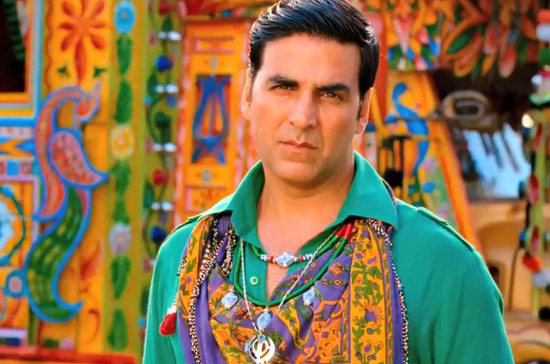 Despite hit music, ample masala and above all presence of Akshay Kumar, Khiladi 786 has failed to set the box office on fire. This one was expected to be Akshay’s third 100 crore film this year and looking at the response it’s safe to say that it won’t be able to make it to the elite club.